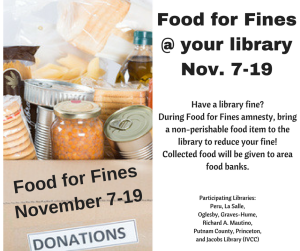 Along with other area libraries, the Oglesby Library is participating in the 7th annual Food for Fines program. During these two weeks only, the library will accept canned or boxed non-perishable food donations towards payment of library fines. 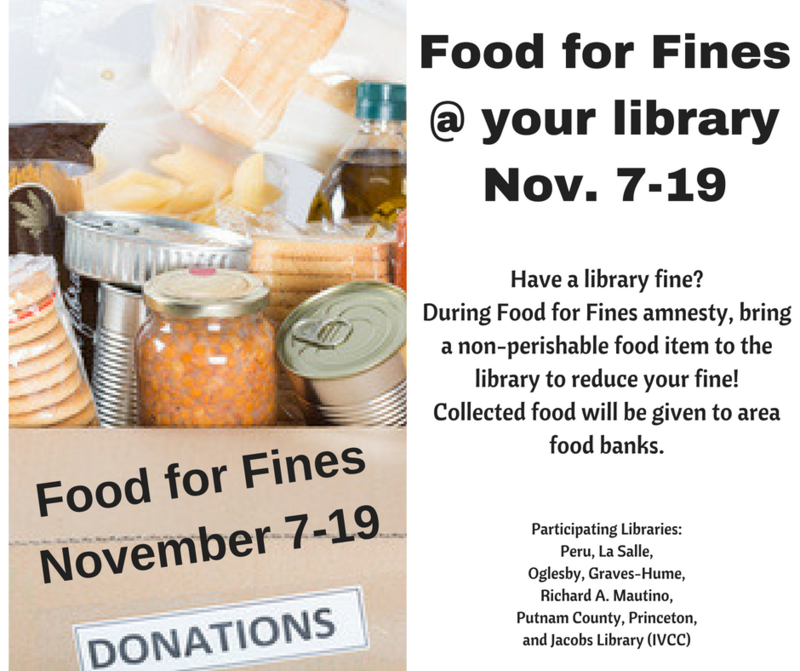 Each donated food item pays $1.00 in library fines, up to 25 items per patron. Donated food is only accepted for overdue fines, not for lost or damaged books. 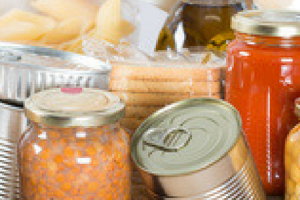 Suggested food items include cereal, canned fruits & vegetables, soups, and canned meats. Don’t have any overdue fines? Feel free to bring donations anyway. We take all donations to area food pantries.